Delicious and Nutritious Granola Bars | Eat. Drink. Be Merry. This recipe is a great afternoon snack when you just need a quick pick-me-up or are having a crazy craving for sweets. Feel free to be creative with your ingredients and share your adaptations with us. This entry was posted in Recipes and tagged antioxidant, chocolate, flax, flax meal, food, fruit, granola, grape seed oil, health, omega 3, omega 6, polyunsaturated fat, recipe for granola bars, spelt, vegetarian, wellness by coachmeghan. Bookmark the permalink. Let me know if you make any changes to the recipe. I’m always looking for inspiration. This sounds delicious Meghan–I look forward to trying it! Let me know if you make any tweaks to it. I’d love to try some variations. 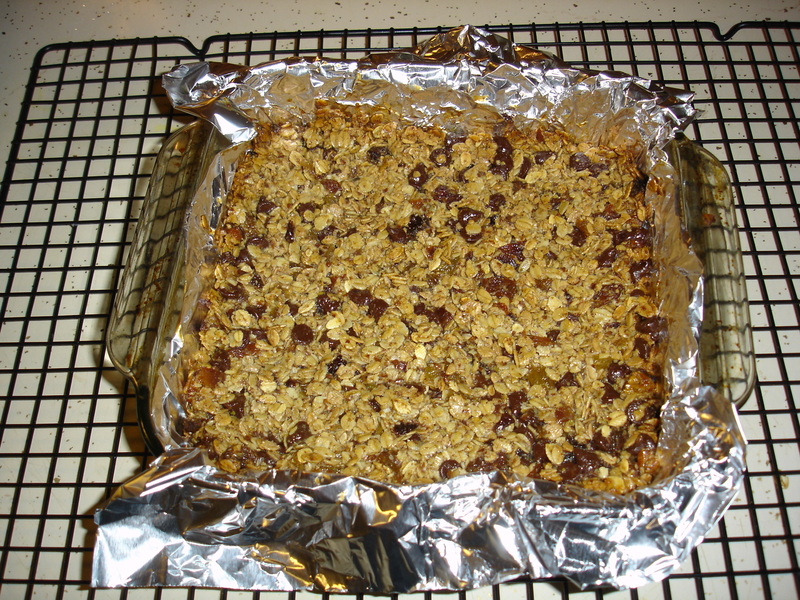 Pingback: Chocolate Slathered Granola Bars | What's On the Stove?